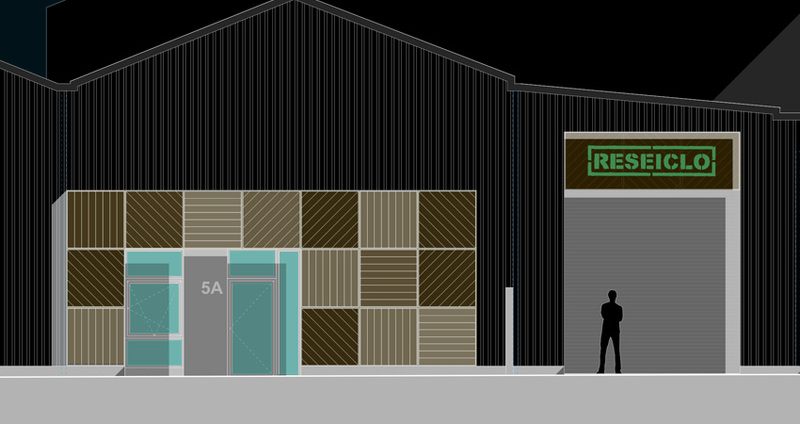 Hewitt Studios have been commissioned to develop an exciting cycle hub concept to be located on the shores of the Bristol Channel. Working with partners including Sustrans and North Somerset Council we have designed a sustainable destination for visitors and locals along the coastal cycle route from Brean Down to Portishead. The scheme forms part of ongoing improvements being made to the cycle network in the South West and seeks to act as a catalyst to promote year-round use of the infrastructure and to attract additional funding. The project is currently undergoing stakeholder consultation. IMMERSIVE: the Match-Day Experience will be fully immersive from the moment of arrival, with a vibrant and active communal spaces, typified by the central winter garden, which will draw home fans and visitors together in an atmospheric environment. INCLUSIVE: beyond the match-day use the stadium will be transparent and outward looking, both socially and architecturally, acting as a community resource for the wider area. An outstanding facility and a destination in its own right. 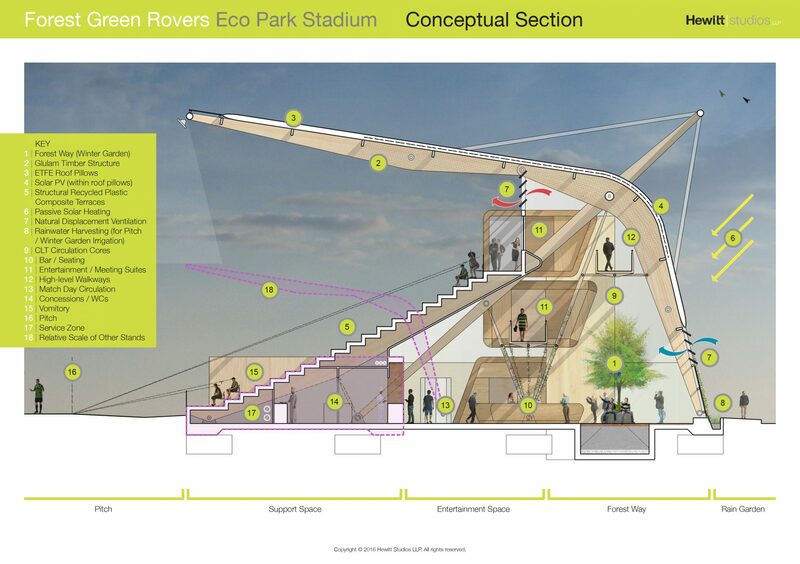 INSPIRING: in use, the stadium will become an landmark, inspiring and encouraging visitors to return whilst enhancing the reputation of the football club and its wider, green aspirations – raising the bar for the architectural, environmental and social impact of stadium designs. Hewitt Studios have recently submitted a planning application on behalf of WElink Energy and Barcelona Housing Systems to create an Innovation Centre at Berkeley Green in South Gloucestershire. 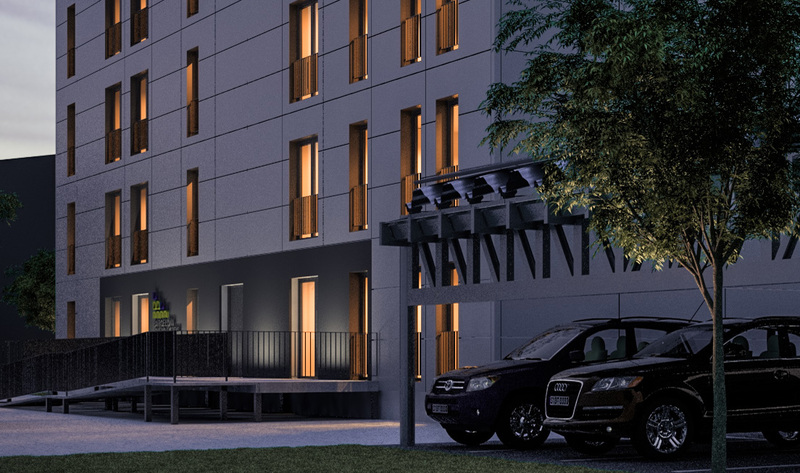 WElink and Barcelona Housing Systems have developed a fast-track, scalable and sustainable packaged building solution to address the international housing shortage. They are seeking to establish a UK Innovation Centre at Berkeley, where they can develop and tailor their unique product for the UK market. Their prefabricated system targets zero-carbon energy in use (with high levels of insulation, efficient services and on-site energy generation) and is assembled without the use of water or cement. The ‘test mule’ at Berkeley represents the first stage of their stated promise to bring 8,000 low cost homes to the UK. Hewitt Studios recently received detailed planning consent for its latest project, a new University Technical College (UTC) at Berkeley Green sponsored by South Gloucestershire & Stroud College (SGS) in partnership with the University of Gloucestershire (UoG) and a network of regional, national and international employers. Berkeley Green UTC will specialise in Digital Technologies, Cyber Security and Advanced Manufacturing. It will directly respond to the demand from employers for adaptable, flexible and suitably skilled young people to support the growing engineering and digital sectors in Gloucestershire, South Gloucestershire and Bristol. The UTC will provide young people with a unique opportunity to take part in an employer led curriculum in a challenging, fun and supportive environment. The strong links with education and business partners will support learner’s progression to both higher education and employment. The project is scheduled to open its doors to learners in 2017. Hewitt Studios will be presenting the scheme as part of a discussion on the Berkeley Green Science and Technology Park at the upcoming Gloucestershire Business Show at 3pm on 18th May 2016 at Cheltenham Racecourse. 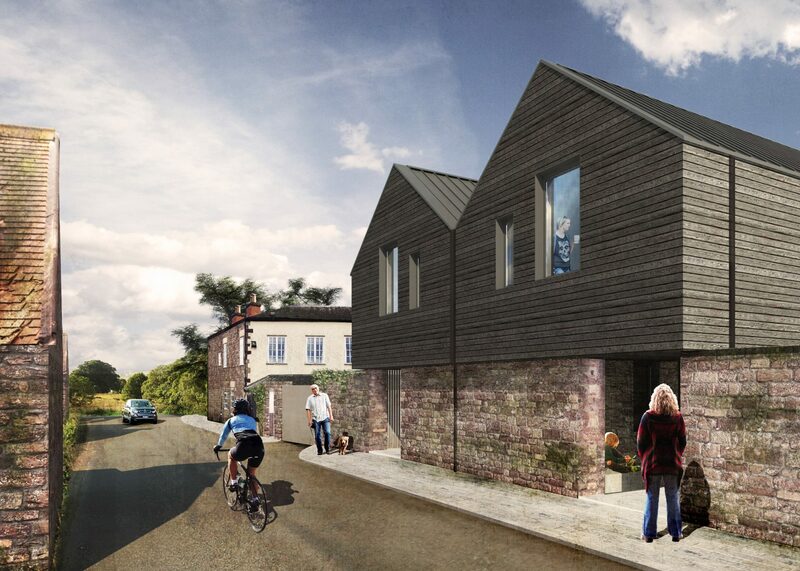 Hewitt Studios are currently developing designs to re-house a wood recycling charity as part of the Crindau flood alleviation scheme (FAS) in South Wales. We are working with Natural Resources Wales and JBA Bentley to create new premises for Reseiclo, replacing their old home which currently lies within a flood risk area. Reseiclo Community Wood Recycling is a Social Enterprise (not-for-profit company) formed in 2007 in Newport and is dedicated to the rescue of waste wood from being needlessly thrown away. Reseiclo collect ‘waste’ timber from all over South Wales, mostly construction sites. They work with some of the biggest Construction Companies in the UK, like Taylor Wimpey and Persimmon Homes, as well as collecting wooden packaging from the Industrial and Commercial sectors. Their new premises will help them to make and sell all sorts of wooden items from this reclaimed timber, whilst also assisting the training and rehabilitation of disadvantaged adults. The project is scheduled for completion later in 2016. 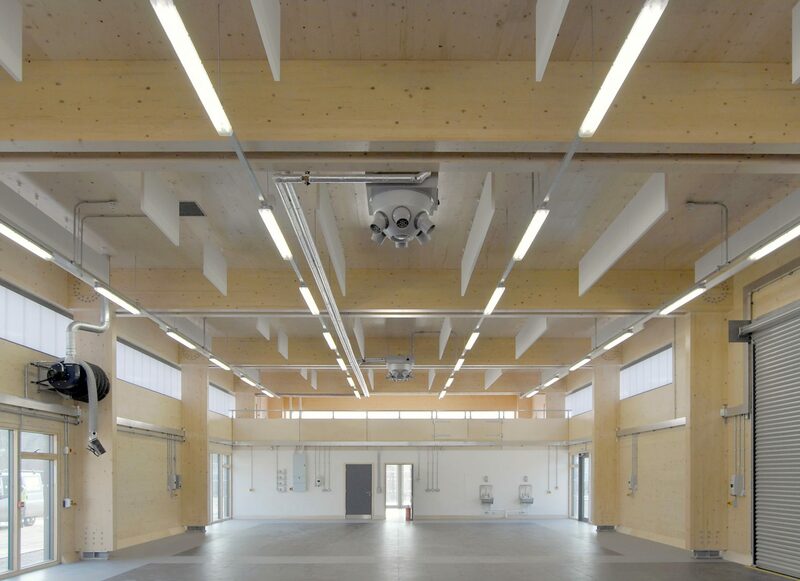 Unusually for an industrial building, the workshop sports an innovative and efficient ‘flat-pack’ timber structure, which takes advantage of Cross Laminated Timber (CLT)’s omni-directional loading capability to cut all beams, columns, walls, and roof from a single 200mm thick board. This pre-fabricated, sustainable and attractive self-finished material allowed for a rapid on-site build (important as the College had a limited window of construction opportunity) with reduced foundation sizes, the flexibility for services to be fixed anywhere and the creation of a high-quality internal environment (with excellent acoustic properties). The workshop also has a modest energy requirement in use, thanks to a highly insulated envelope, efficient services specification and 12kW of roof-mounted solar pv panels, all helping to secure its A-rated Energy Performance Certificate (EPC).